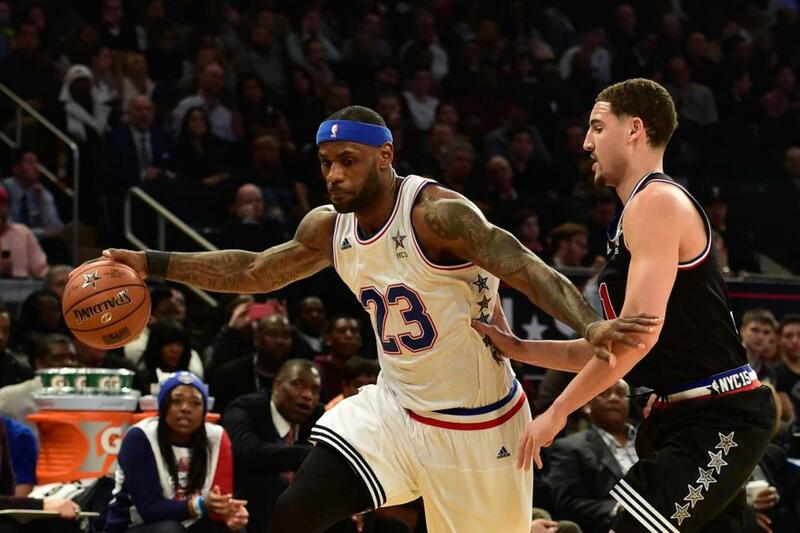 And, yet, another scoring record for the NBA All Star Game held at New York’s famed Madison Square Garden, Sunday, February 14, 2015, with the West outlasting the East 163-158, for a total of 321 points, beating the 2014 outing of 318 points. The teams combined to make 48 3-pointers, obliterating the previous high of 30, a record which was also set last year. 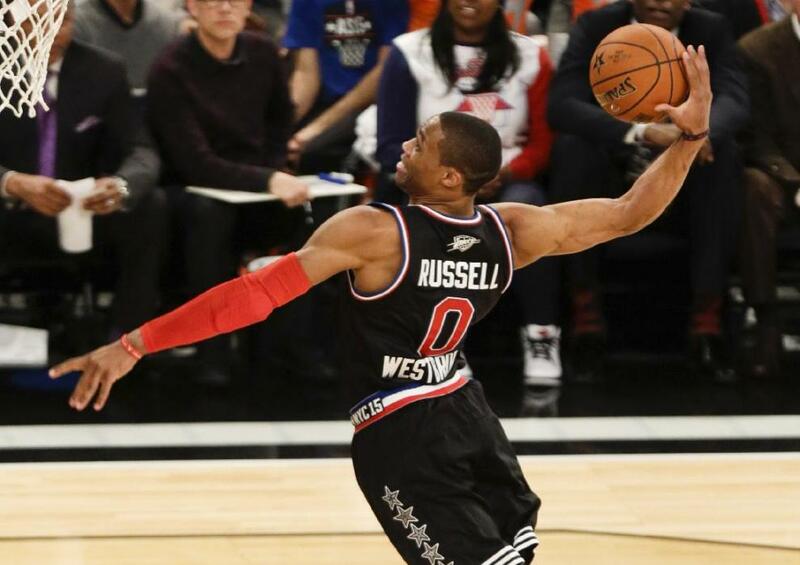 Eventual All Star Game MVP Russell Westbrook had a hot hand (shooting 16-for-28, 5-for-9 beyond the arc) and his 41 points was just one point shy of Wilt Chamberlain’s all-time All Star game scoring mark of 42, set over five decades ago in 1962. Westbrook (Oklahoma City) joins Chamberlain (Philadelphia Warriors) and Michael Jordan (Chicago Bulls), who dropped 40 in 1988, as the only players to ever top the 40-mark during the mid-season classic. It should be noted that Chamberlain set his mark in 37 minutes of play, while Westbrook was in the game for only 25 minutes. The OKC guard did set a record for points scored in a half, with his 27 topping the previous high, 24, accomplished by Glen Rice (Charlotte Hornets) in 1997 and Kyrie Irving (Cleveland Cavaliers) in 2014. There was another, different, mark achieved Sunday as the Gasol brothers, Pau (Chicago Bulls) and Marc (Memphis Grizzlies), became the first siblings to start in the annual best-of-the-league series. They even faced off for the opening tip, which was won by older brother, Pau, for the East. Had the East been able to pull out the victory, the game being tied at 148 with four minutes to play, it is likely Cleveland Cavaliers forward LeBron James might have taken the MVP trophy home, scoring 30 points on 11-for-21 shooting, though only 4-for-12 from long distance, while grabbing five boards and adding seven assists. In a game that is totally driven by offense, with very little defense being played, the West players shot 65-133 (48.9%), with 25-65 (38.5%) from 3-point-land, and the East was 65-130 (50%), but only 23-68 (33.8%) beyond the arc. Other players who put on a show were James Harden (Houston Rockets) with 29 points (firing 11-for-16 overall, 7-12 from 3-point) with eight boards and eight assists, and Kyle Korver (Atlanta Hawks) with 21 points, all from long-range, where he was 7-for12. Reserve West guard Chis Paul (Los Angeles Clippers) had a game high 15 assists while Pau Gasol led both squads with 12 rebounds, beating brother Marc, who was second highest with 10.